Apple Fruit Extract (Pyrus malus). 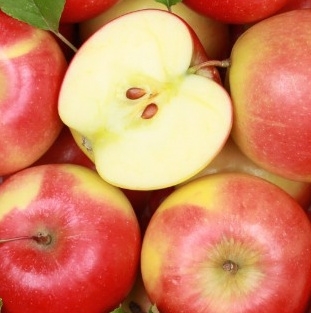 Apple fruit Extract is an excellent addition to skincare applications. Our high quality organic Apple fruit extract is free of impurities and extremely potent. This rich vitamin content includes vitamins A, C, and zinc, compounds thought to promote clear, healthy skin. Apple extracts are used in skin care for their rich nutritional profiles.Apple extract is rich in antioxidants like vitamin C and natural acids and it is also high in polyphenols and catechins like those found in green tea. Botanical Ingredients: Kosher Vegetable Glycerin, Apple Fruit Extract, Silver Dihydrogen Citrate.